I'm attempting to re-order the black cartridge for the HP LaserJet series 5550dn printer. The original box we have from our last order has the number for black listed as "C9730A". I'm wondering, did the numbers change through HP for this particular printer because I keep coming up with 645A as the cartridge number when I'm attempting to search using the model number? Can you please inform me if the number for the ink cartridge has changed? Thank you, Lane. 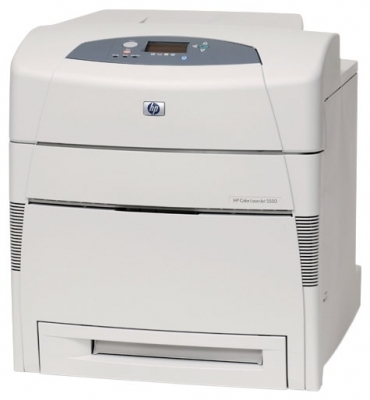 If it's nothing other than the top quality replacement cartridges for HP LaserJet 5550-dn printers that you're searching for, the choice is clear. Our core belief is to only ever supply printer toners which are the leading quality that are made to work effortlessly with your printer. Pick Cartridge Save and take advantage of the huge lineup of bargain toners for the LaserJet 5550-dn laser toner printer currently available to buy! Right here Cartridge Save we are not willing to concede anything over customer care or the high quality of our HP toners. Everybody gets free delivery with everything bought with Cartridge Save! Should you purchase with us today, it should be delivered by overnight. To provide you increased satisfaction, any HP LaserJet 5550dn toner that is bought here will also come with a full money back policy.